The US Open of Surfing 2016 in Huntington Beach, CA, Kalani David hugs a young fan after surfing his heat. The US Open of Surfing showcased their first JR skate competiton in 2016. Michael Bourez runs along the beach to begin his heat in the VANS US Open of Surfing Pro Surf Competition in Huntington Beach, CA. The US Open of Surfing 2016 JR Mens surf competition kicking off with their first competitiors. Pro Surfer Miguel Tudela getting ready before the last heat of day 1 at the US Open of Surfing 2015. 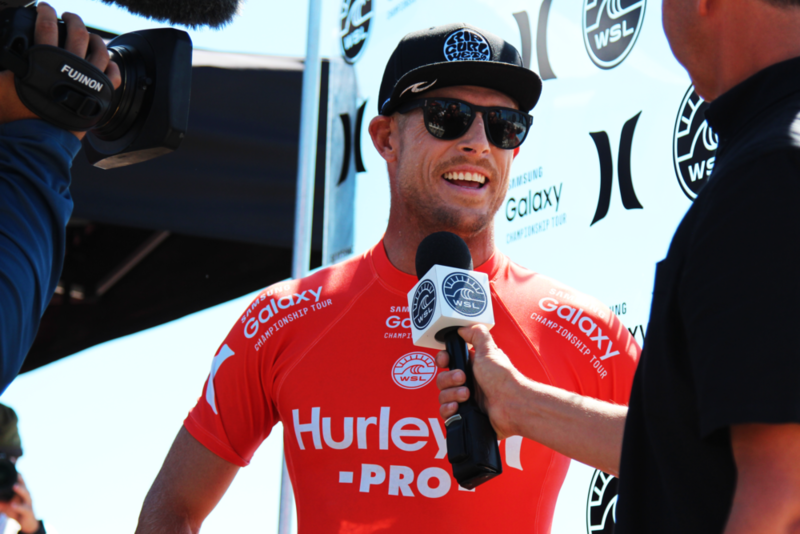 Winner of the 2015 Hurley Pro, Australian surfer Mick Fanning gets interviewed by reporters on his win. These jerseys were worn by surf legends from around the world. They competed in the 2014 US Open of Surfing in Huntington Beach, CA. The Great Sand Dunes National Park in Southern Colorado offers sledding and sandboarding down its natural dunes. Hollywood stunt double Sean Nobles does a back layout off a lifeguard tower in Huntington Beach, CA. From the athlete's booth, the crowds can be pretty intimidating. People from all around came out to see the finals at the 2015 Hurley Pro in San Clemente, CA. While filming for a Docuseries on Women in male-dominated sports, the director, Shantel (left), got a ride-along with professional solo racer Marchelle Fletcher in Farmington, NM. While filming with my GoPro behind the stage at the Los Angeles 2013 Color Run, I snapped this quick photo of what happens to equipment while filming amazing events. Red Bull is a major sponsor each year at the US Open of Surfing and they place their logo at the top of the skate bowl where riders grind across. 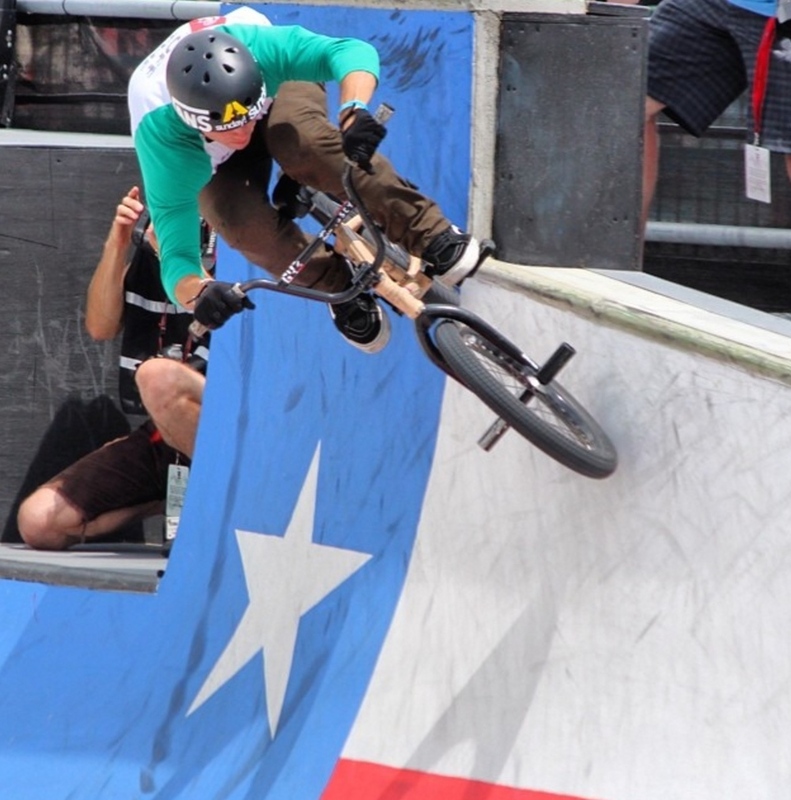 The first year the XGames debuted in Austin, TX in 2014 had a bowl with a Texas quarter pipe. Pro BMX rider Gary B Young rode across it during his run. Pro drivers Ken Block from Monster Energy and Ricky Johnson from Red Bull race through the dirt track at the XGames 2014 in Austin, TX. Through the downtown alleyways of Palma, Mallorca. Outside Park Guëll in Barcelona, Spain, even the twisted barriers down the stone steps were artistic. I like to involve myself into the projects I create. I participate in most action sports especially parkour. During this shoot I threw a few flips with the athletes as well. I am a videographer/editor that does much more than looks through a lens and sits behind a computer. I have worked for various genres of film from educational television, to corporate video marketing, to action sports. I am well experienced with cameras, equipment, aerial photography, professional editing software, and overall production. I have done plenty of event coverage from groups of 30 to over 700,000 doing production, event recap videos, and photography. I earned a Bachelor's Degree at Colorado State University majoring in Journalism & Technical Communications with an emphasis on Film Productions and a minor in Film Studies. I am adventurous and curious about the world that I make an effort to explore through travel, food, and relationships. I am very athletic, energetic, and can at times have a sarcastic sense of humor. I'm a movie obsessor, parkour athlete, trivia master, and PS4 gamer. You can follow my social media accounts: @graceflix. Let me make your company a success in the video world. Check out my site and visit my contact page if I can be of service.